Summer make us think of white wine on the deck or patio. But let’s not forget about robust reds to accompany tasty BBQs during the warm weather! Here are some good-value whites to sip with a summer salad or seafood such as prawns, scallops, sushi, crab or halibut, and some good-value reds for your BBQ. And there are also some bonus wines that are a bit pricier, and also work as a celebratory toast to Independence Day with friends. 2014 Kenwood Vineyards Sauvignon Blanc ($13): Fruit from 28 vineyards went into this crisp summer sipper, and the result is a balance of citrus and tropical flavors plus some grassy characteristics and minerality. Louis Jadot Macon-Villages 2014 ($15): This is a Chardonnay that is clean rather than oaky, with apple and citrus aromas, mineral notes and fresh fruit on the palate. Santa Cristina 2015 Cipresseto Toscana ($14): If you like your rosé dry, try this one, with notes of jasmine and raspberry. Santa Cristina 2015 Pinot Grigio delle Venezie ($12): Refreshing with aromas of tropical fruit and orange flowers, we will be sipping on this during lazy afternoons on the lake. Bonus Whites: These whites are a slice of heaven on a warm evening by the lake, by the pool, on the deck or the patio. Efeste 2014 Feral Sauvignon Blanc ($20): This beauty of a Sauv Blanc brought us back to drinking whites in 2009 after years of reds only. Feral, with native yeast fermentation, is a wild and lively wine with intense minerality and the perfect amount of citrus to keep us sipping on the deck until the sun goes down. JM Cellars 2015 Sauvignon Blanc ($25): We first tasted this amazing white wine in 2009, shortly after we tried Feral for the first time. JM’s Sauv Blanc was fermented in 100% stainless steel, features both tropical and citrusy flavors, and is a refreshing favorite every summer. Sequoia Grove Napa Valley Chardonnay 2014 ($28): This Napa wine shows aromas of pear, lychee, citrus zest and almonds, with a full range of flavors. We particularly like the citrus zest, which sets this apart from many Chardonnays that we’ve tasted. The rich Australian Shiraz was aged in Scotch whiskey barrels to provide complex, well-developed characteristics. Drumheller 2014 Columbia Valley Cabernet Sauvignon ($12): A distinct Washington wine, we noted the delicate flavors and texture, with a silky finish. Drumheller 2014 Columbia Valley Merlot ($12): Another distinct Drumheller red, this merlot has lively aromas of blueberry and spice, with hints of cocoa and a soft texture. Bonus Reds: These rich reds pair well with BBQ meat dishes, at a summer party or as a stand-alone wine by a beach bonfire. Résonance Pinot Noir Résonance Vineyard 2013 ($65) – From the Yamhill-Carlton AVA within Oregon’s Willamette Valley, this lovely wine is a produced by winemaker Jacques Lardière, and is Louis Jadot’s first project outside of France. This beauty will pair perfectly with BBQ steaks in the summer (and also roast beef in the winter). This is our kind of cab – full-bodied, rich, robust, well-structured and elegant. With such a beautiful nose, lovely aromas and concentrated fruit, this Reserve Cab is simply delicious. Any of these wines would add to your July 4 celebrations too! Of note, all of these wines except Efeste and JM Cellars were samples provided by the wineries. Thank you! Cheers to the long lazy days of summer BBQ’s and sipping wine outside. 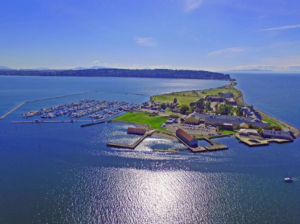 The breathtakingly beautiful Semiahmoo Resort is continuing its popular Winemaker Series on May 26 with a reception and dinner with John Bigelow of JM Cellars. John’s excellent wines can be frequently found on our table: Tre, Margaret’s Vineyard Estate Red (named after his lovely wife and winery co-owner, Peggy), Sauv Blanc and Bramble Bump Red, among others. 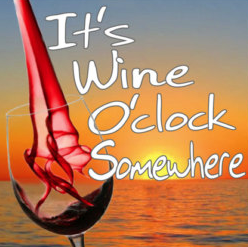 The evening begins at 5:30 p.m. with a reception in Semiahmoo Resort’s Wine Room, followed by the Winemaker Dinner. 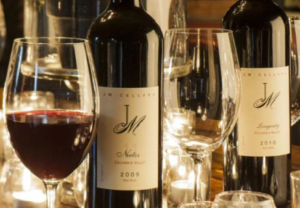 JM Cellars wines will be paired with a mouth-watering five-course dinner created by Semiahmoo’s Executive Chef Bruno — including Scallops Sashimi with JM Cellars 2014 Bramble Bump White, and Spring Lamb Loin with JM Cellars 2012 Tre. 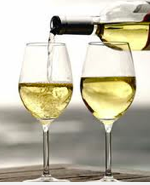 This is a perfect opportunity for wine lovers in Seattle, Vancouver and well, everywhere, to come to Semiahmoo Resort for relaxation in a scenic location, excellent wine and a delicious meal. For those of us fortunate to live near Semiahmoo Resort, what a fantastic way to spend the evening! If you are out of town, the package starts at $359, which includes two tickets to the Winemaker Dinner and a one-night stay for two in a newly renovated guest room at the resort. (Taxes and gratuity are not included in the price.) For reservations, phone 360-318-2000. If you’re local, the price is $99 per person, exclusive of tax and gratuity. Phone 360-318-2044 for reservations. We hope to see you there! We’ve enjoyed JM Cellar wines since 1999 when we moved to Seattle; six years later, we finally met John at Taste Washington 2009. After the event, John wrote me a note to thank me — not just for our blog posts about JM Cellars, but about our support for Washington state wines in general. Now that’s a class act!